Katja Golden liked Deborah Fairfull's photo. 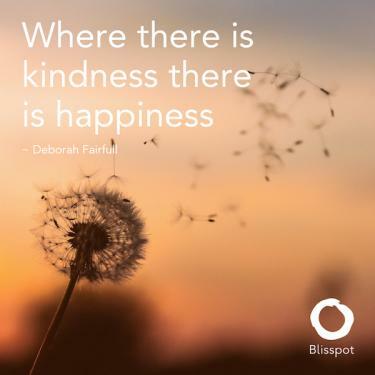 This past week there has been a common theme in the community of kindness. Beautiful blogs reminding us of this most important human quality by Dr Margaret Paul and Amaya Price, for example. Thankyou to everyone, on behalf of the community for all your... moreThis past week there has been a common theme in the community of kindness. Beautiful blogs reminding us of this most important human quality by Dr Margaret Paul and Amaya Price, for example. Thankyou to everyone, on behalf of the community for all your wonderful contributions. Katja Golden liked Amaya Pryce's blog entry. Katja Golden liked Tony Fahkry's blog entry. Deborah Fairfull A beautiful article on the true meaning of love. Katja Golden liked Dr Helena Popovic's blog entry. Katja Golden liked Sergei VanBellinghen's blog entry. Deborah Fairfull Animals have so much to teach us, about being loving and kind. When we respect and tune in and "listen to animals", they help to reconnect us to our true loving nature. Jane Mary Coaching This is a beautiful article that really touches my heart. Animals feel just like we do. Thank you so much for your wisdom and compassion for animals. Katja Golden liked Dr Margaret Paul's blog entry. To dwell on your setbacks instead of playing the long game in life can be significant to your emotional wellbeing. Deborah Fairfull Great practical strategies to overcome challenges, thankyou for sharing Tony. Katja Golden has just signed up. Say hello!